For some reason, Audi seems to have a complicated relationship with Vehicle Identification Numbers. They’re not really complicated things, but Audi has admitted to using falsified VINs on South Korean cars in an effort to make emissions testing verification more difficult. As a result of this, three Audi employees are under investigation. All of these shady goings-on are, of course, related to the massive VW Group Dieselgate scandal, which is doing a very good job of never quite ending. 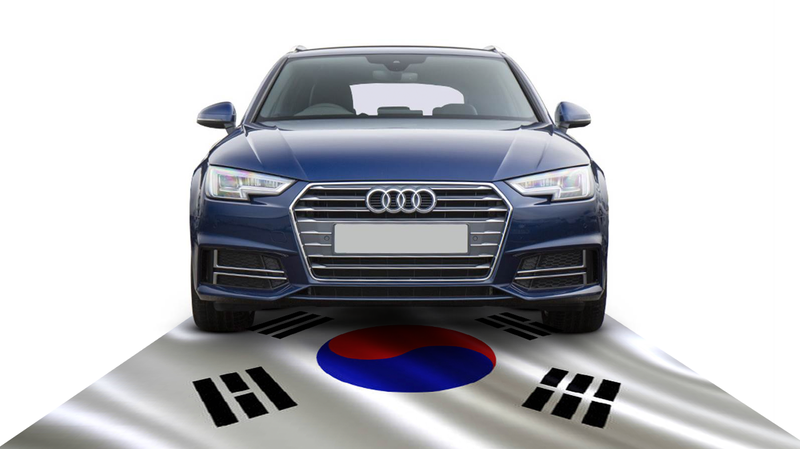 Audi’s South Korean shenanigans have been going on since at least 2013, and have been focused on falsifying vehicle chassis numbers and test records to get South Korean approval for various Audi models that otherwise would not have met South Korean standards for import. Last year it was discovered that Audi had repeated VINs on large numbers of cars that were exported to Asia, including South Korea, though at the time it was not clear exactly why or what could be gained by doing so. It’s possible that this could be related to Audi’s attempts to cheat the South Korean import system, though there is no definite link as of yet. Audi had conducted an internal audit of the situation back in July of 2016, according to documents discovered in a raid on Audi headquarters in March of 2017. The results of the audit were not passed to Dieselgate investigators, though technically Audi was not under orders to do so. According to the confiscated Audi internal report, Audi employees at Ingolstadt “purposefully manipulated” emissions and fuel economy test results and data for vehicles destined for South Korea. The faked VINs were used to obfuscate and make confirmation of the data much more difficult, if not impossible. The Munich II public prosecutor assigned to Dieselgate investigations was not informed of these reports and fraudulent practices, suggesting that Audi officials may have been hoping that this particular part of the whole mess may be overlooked. The German newspaper Süddeutsche Zeitung was the first to report on the story, and also make mention of a “Chinese gang” that Audi reported was somehow involved in the cheating, but details are not yet clear. Audi has only stated to the newspaper that the three employees under investigation are not board members, and that the investigation is currently ongoing. We’ve reached out to Audi for comment, and will update when we get a response.